You may recognize the next diaper maker I’m going to discuss. Mother-ease Cloth Diapers has been manufacturing leak-free cloth diaper systems since 1991 and offers a variety of cloth diapers including one size cloth diapers, their Sandy’s diapers, all-in-one diapers, and their newest Wizard line! If you’re looking for a diaper maker that offers a wide variety of diapers in one place, Mother-ease may be the diaper maker you’ve been searching for! I had the opportunity to try the Mother-Ease Sandy’s system. It consists of a Sandy’s fitted diaper and a cover. The cover we received was the Rikki Wrap. Mother-Ease also offers the Air Flow cover that can be used with the Sandy’s fitted. I got the Sandy’s in white cotton size large because W was nearing the border according to the weight guidelines on the Mother-ease website. The large size is designed to fit from 20 – 35 pounds. I also chose the Rikki Wrap in size large based on W’s size. The Rikki Wrap size large is also designed to fit from 20 – 35 pounds. We got the Rikki Wrap in the Rainforest print. My first impression of the diaper and cover was that they were both huge! I guess I still think of W as my little guy. We aren’t on the low-end of many of our diapers, so this was one of our first of much bigger sizes. We do have the Thirsties Duo Fab Fitted & Wrap in size 2 but we are on the smallest setting for those so they don’t seem as big as the Sandy’s and Rikki cover did! I was convinced that they would go up to his armpits! Well, I was wrong. The Sandy’s size large actually fit W very well in terms of the rise and the legs. They fit him well without leaving marks and there is still plenty of room for him to grow into the diaper. The Sandy’s fitted feels very soft and very absorbent. On the Mother-ease website it says that it can hold up to 15 ounces of liquid! That is definitely an absorbent diaper. I also received a Sandy’s Absorbent Liner to increase the absorbency if needed. With the liner, this diaper may work for us as an overnight solution for us in the future. At this point, it is a bit bulky for my liking, but that is an issue I am trying to get over as bulkiness at night isn’t as big of a deal as I think it is! If you read my post on night-time diapering you already know that bulkiness has always been one of my concerns. The Sandy’s diaper features snaps on the side and this is the first diaper I have that has these snaps. I really liked them. They were easy to fasten and W’s hands didn’t go straight to them because they weren’t right in the front of the diaper. Of course, he found them eventually but he wasn’t able to open the diaper! The Sandy’s fitted passed that important test! With the Rikki cover, the system did get a bit bulky on W but not in a way that would prevent me from using it. I wouldn’t put him in it to go out and about, but it is perfect for around the house and I do plan to use the liner and try it at night. The sizing will be great as he continues to grow. This system definitely has plenty of life left in it even as W continues to hover around the 97th percentile on the growth charts! I really like the Rikki Wrap cover. It’s fairly simple in design, but simple can be good! The closure is a very basic aplix but I like that it is sewn onto the fabric rather than being an aplix tab. The cover does not have laundry tabs so I just attached to the front when we wash. You could also turn it inside out to help prevent a diaper train. In the photos you can see that the design of the diaper has some extra fabric that is similar to the gussets on other diapers. They aren’t exactly like most gussets and Mother-ease calls it a skirt of fabric and it is to help prevent leaks. This diaper cover is generously sized and could be used over a variety of other diapers. It fits well over my Pooters fitted and my Thirsties Duo Fab Fitted. Overall, the Sandy’s system has been very absorbent for us. We have not had a leak and I look forward to trying it overnight with the liner. While it is a bit bulky for us right now, it’s because W is at the bottom of the measurements and I look forward to seeing how long this diaper last for us. It’s nice to know that it should work for a while! I will report back on how it works at night! Disclosure: I was sent a Mother-ease Sandys diaper system for review and Mother-ease Cloth Diapers is responsible for the giveaway prize. I was not compensated in any other way for this review and all opinions are my own. FormulaMom’s full disclosure can be found here. Facebook is not associated with this giveaway in any way. I would choose the Wetlands print…I love anything with frogs on it for my little guy! I’d choose the Savanna print! I commented on Summer Fluffin’: Are AIOs (All-in-Ones) All They’re Cracked Up To Be? I’m a GFC follower of Formula Mom. I like the Asia diaper cover. I Follow Formula Mom on Twitter. The Rikki Wrap Print I would choose is Wetlands. I would choose the rainforest print! I entered your AMP giveaway. I entered your Fuzzibunz giveaway. I entered your Best Bottom Diapers giveaway. I entered your Thirsties giveaway. entered Summer Fluffin’ Review & Giveaway: itti bitti bitti d’lish AIO. entered Summer Fluffin’ Review & Giveaway: Beautiful Baby Gear/Abigail’s Diapers (AMP). entered Summer Fluffin’: Wallypop Giveaway. entered Summer Fluffin’ Review & Giveaway: Best Bottom One Size diaper system. entered Summer Fluffin’ Review & Giveaway: Bum Luxury (Fuzzibunz). Summer Fluffin’: Are AIOs (All-in-Ones) All They’re Cracked Up To Be? i like Mother-ease Cloth Diapers on fb. i like FormulaMom on fb. My favorite is the savanna print. I entered the Wallypop giveaway. I would choose the Asia Color. So cute! I entered your Fuzzi Bunz giveaway. I entered your Best Bottoms giveaway. I entered your Wallypop giveaway. I entered your Itti Bitti giveaway. I entered your Envibum giveaway. I like the Oceans Print for the RIkki Cover. I commented on your Night Time Diapering Options Post. I entered your IttiBitti Giveaway. I entered your BestBottoms Giveaway. I entered your Envibum Giveaway! I am a public follower of Formula Mom on GFC as Kalea. I like FormulaMom on FB #1. I like FormulaMom on FB #2. I like Mother-ease on FB. I’d like the Yellow Cover! I entered your MiniMaestro Giveaway! I like the Oceans print Rikki Wrap from Mother-Ease. I follow Formulamom on GFC as Raquel Beaty. Voted for you on picket fences (6/10). I entered the Envibum giveaway. I entered your MiniMaestro giveaway. I would choose the pink Rikki cover! You have just voted for Formula Mom – figuring out a formula for motherhood! I would choose the Savanna Rikki Wrap cover. I would choose the Savanna print. I like Motherease on FB. I would get the Wetlands print. I like the the Wetlands Rikki Wrap. I love the wetlands print! 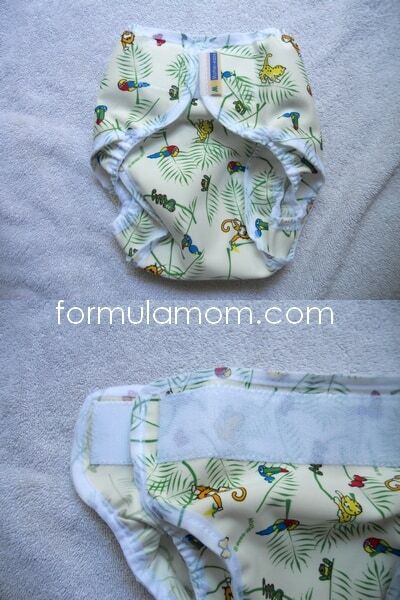 I commented on Summer Fluffin’ Affordability: Sew Your Own Cloth Diapers! I entered your Sprout Change giveaway. I voted for you on 6/13. I commented on your Stash Post. I like the Oceans2 pattern of the Airflow cover. AAF of MotherEase on FB. Voted on Picket Fence 6/13. I would choose the asia one. 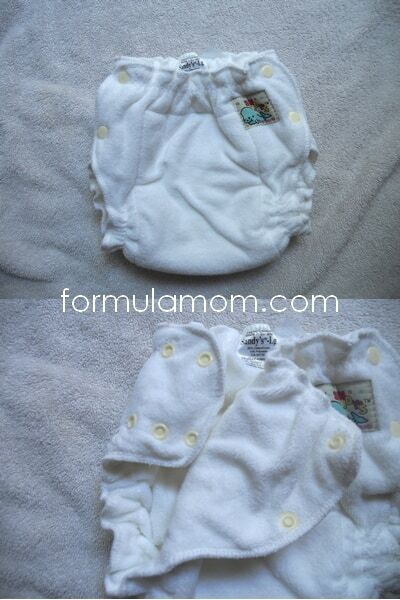 commented on Summer Fluffin’ Affordability: Sew Your Own Cloth Diapers!. commented on Summer Fluffin’: Mix & Match – Fun with Covers (& Fitteds!). commented on Summer Fluffin’: The Essential Accessories – Doing the Cloth Diaper Laundry. I entered your Rockin’ Green giveaway. I’d like a wrap in the rain forest print. I entered your Sprout change reversible cloth diaper giveaway. I can’t decide between the rainforest, wetlands, or ocean! I’m thinking rainforest. I follow using Networked Blogs (my Facebook name is Andrea Grupe, just in case you need it). I like Formula Mom on Facebook as Andrea Grupe. I like Mother-ease on Facebook as Andrea Grupe. I entered the Summer Fluffin’ Fluff Stash giveaway as Andrea G.
I entered the Summer Fluffin’ Bum Luxury giveaway as Andrea G.
I entered the Summer Fluffin’ Best Bottom giveaway as Andrea G.
I entered the Summer Fluffin’ Thirsties giveaway as Andrea G.
I entered the Summer Fluffin’ Wallypop giveaway as Andrea G.
I entered the Summer Fluffin’ AMP AIO giveaway as Andrea G.
I entered the Summer Fluffin’ itti bitti giveaway as Andrea G.
I entered the Summer Fluffin’ Envibum giveaway as Andrea G.
I entered the Summer Fluffin’ Mini Maestro giveaway as Andrea G.